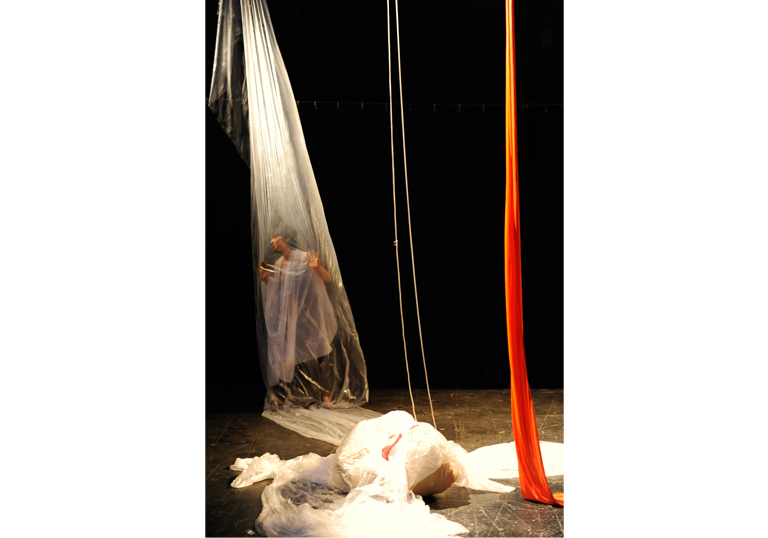 Produced by La Nef Manufacture d’utopies, as part of an artist residency, this buton performance is inspired by Antonin Artaud’s concept of ‘body without organs’ and a story about organ transplant. 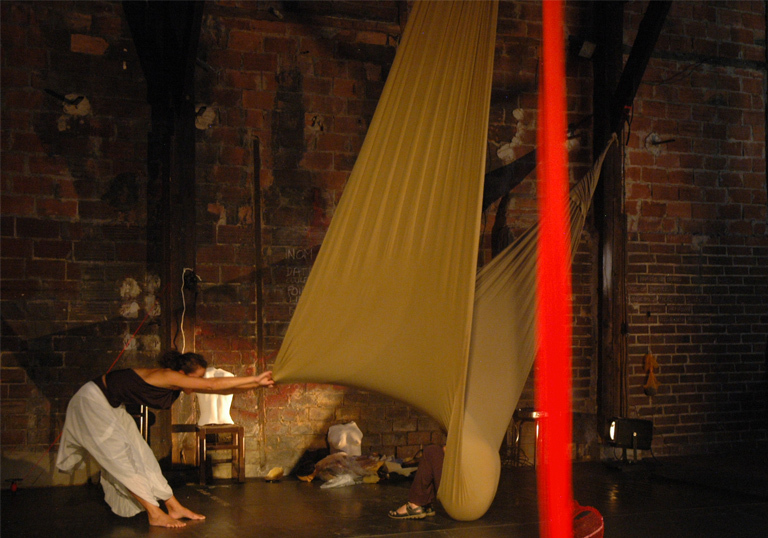 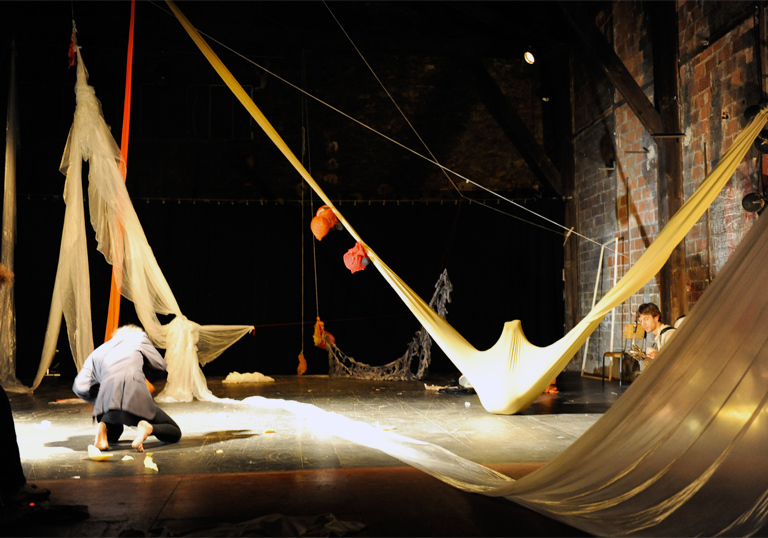 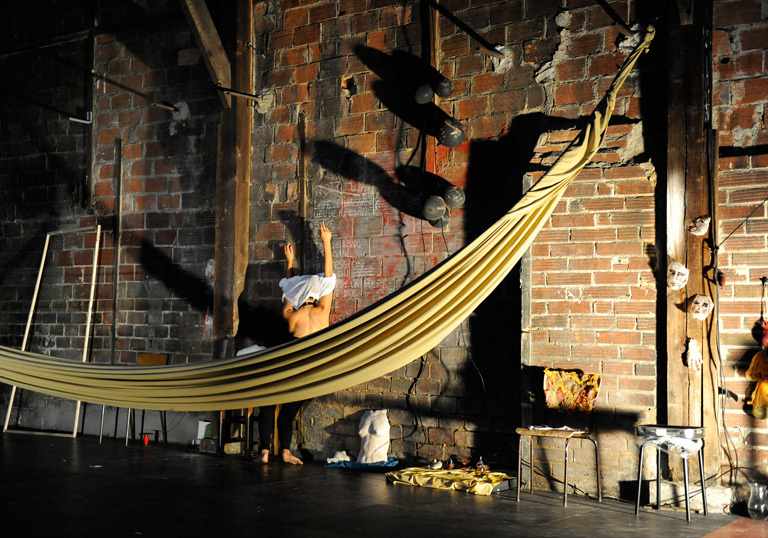 Using La Nef’s former brick factory space as a base, the scenography involves a series of elastic and moveable draperies hoisted in the space, allowing the performers to experiment with objects and movements, and transform the interior landscape of the space through this interaction. 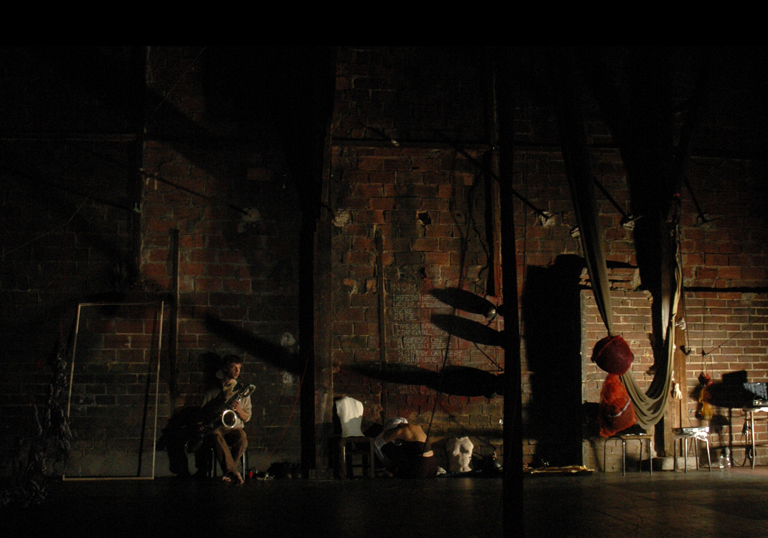 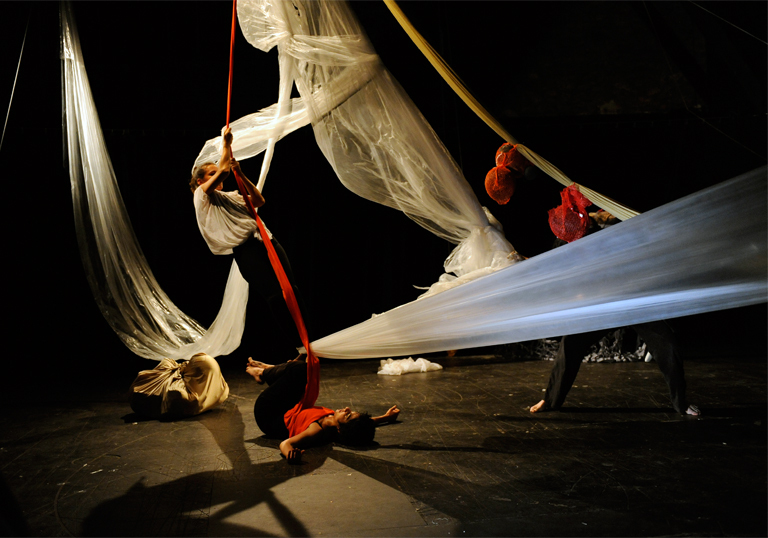 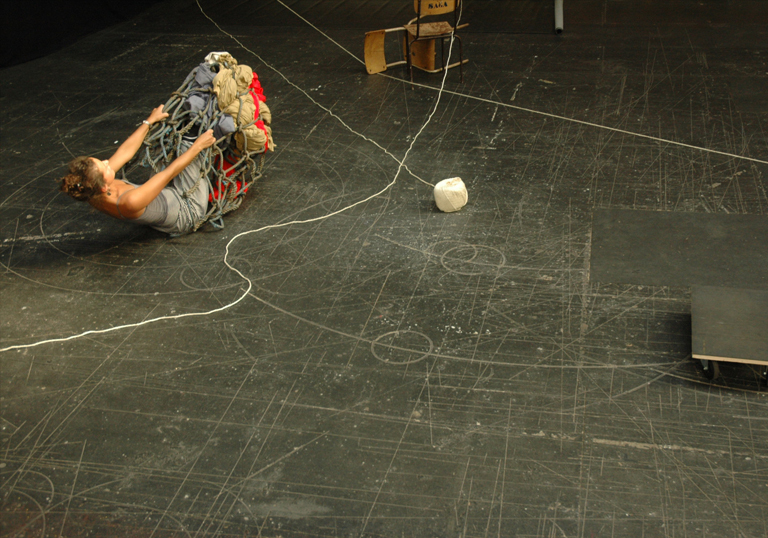 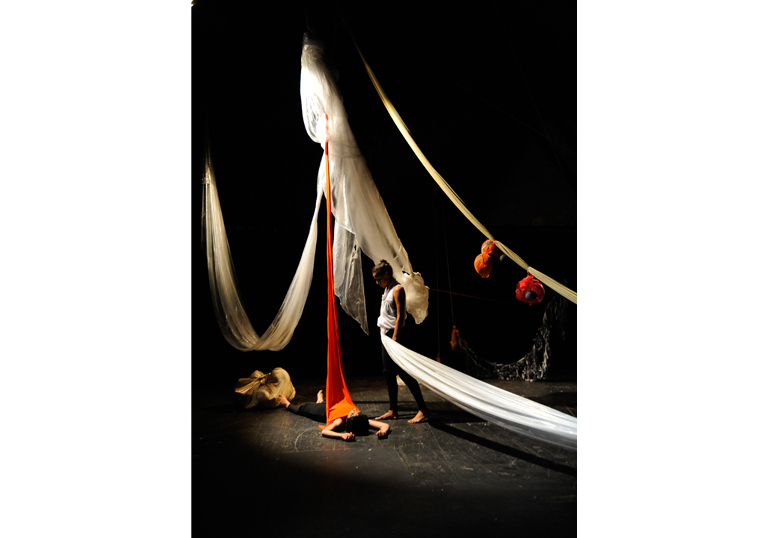 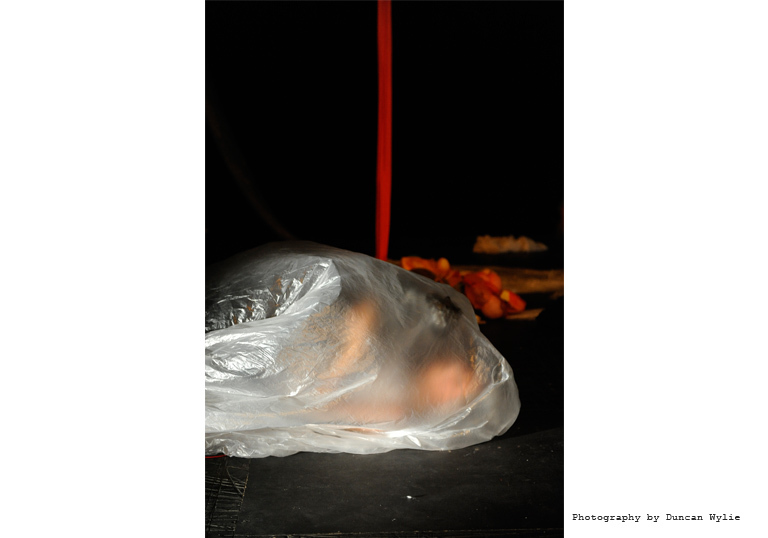 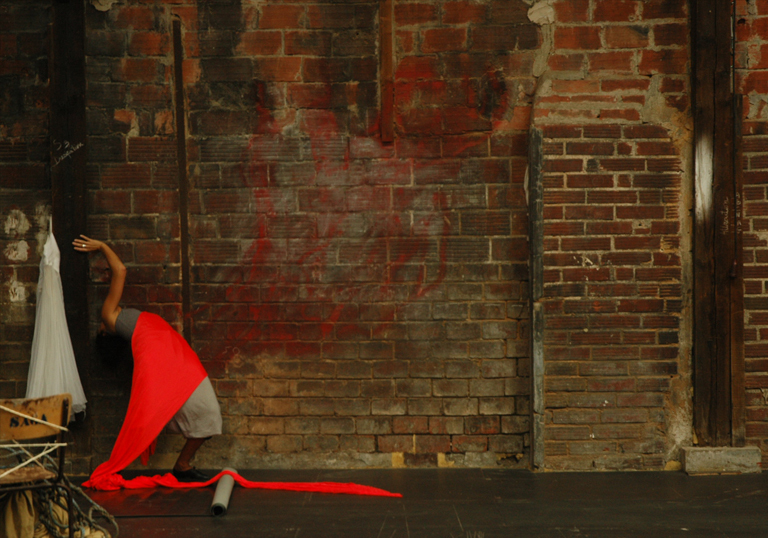 The result is an installation performance incorporating butoh dance, puppetry, and live music.